Snopes called Tommy Chong's reps, but they didn't return the call. Tommy and Paris Chong should be ashamed of themselves. 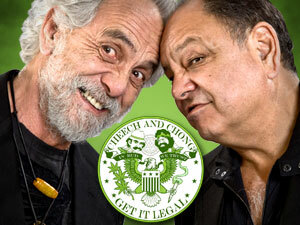 Tommy Chong and the other celebs should be charged with fraud. On April 20th (that's right 04/20), the Cheech and Chong Up in Smoke tour is coming to the Capitol Theatre, in Port Chester, New York. They are playing two shows that night. Tickets go on sale September 15th at 4:20PM local time. Same old jokes, new city.